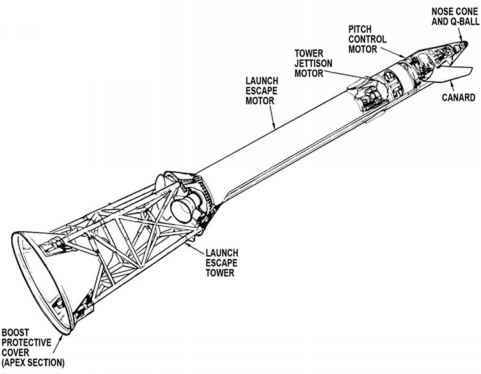 Buried within the pie-shaped structure of the service module were originally two (later three) tanks each of oxygen and hydrogen. Although these two substances are excellent propellants for rocket engines, propulsion was not their purpose in the Apollo design. A common notion is that spacecraft usually derive their electrical power from the Sun via large arrays of solar cells. While this is generally true for automatic spacecraft in the inner solar system and for the international space station, the high power demands of a typical Apollo flight would have required such large panels as to make them cumbersome. This size would not have been a problem during a coasting flight, but when the spacecraft's large engine was fired, the mechanical stress from the acceleration would have required them to be folded away at the very time that their power was most needed. An Apollo fuel cell. Storage batteries could have brought electrical power from Earth. Although they could have supported a short flight, as they did for the early manned Gemini flights, they could not support the Apollo spacecraft for two weeks without being prohibitively heavy. It was up to the Gemini programme to prove the concept of a third alternative, the fuel cell, as a source of electricity for long-duration flights. First developed before the Second World War in Britain, the operation of the alkali fuel cell is remarkably simple. It acts like a battery by using the chemical reaction of two substances, in this case oxygen and hydrogen, and making available the energy of the reaction in the form of prodigious quantities of electricity. However, unlike a conventional battery, the reactants can be replenished constantly. The fuel cell does not run down as long as fresh reactants are fed past the electrodes. Even more remarkable is the fact that the waste product of this reaction is water that is sufficiently pure to be drunk. The adoption of the fuel cell in Apollo therefore killed two design quarries with one stone. Not only did it produce lashings of electricity (a single fuel cell could generate well over 1 kilowatt of electricity at peak demand), but the water it produced became a sort of lifeblood of the spacecraft. It quenched the thirst of the crew and rehydrated their food in metered amounts through a pistol-style 'squirt gun' on the end of a hose. It also supplemented the cooling of the spacecraft's electronic equipment by being evaporated into space, taking heat with it. Any excess was periodically discarded through an orifice in the spacecraft's hull. the Gemini flights, giving engineers a chance to iron out the teething troubles with this promising technology. By the time the Apollo programme finished - Apollo 13's oxygen tank explosion notwithstanding - no Apollo flight suffered from a failure of their fuel cells. 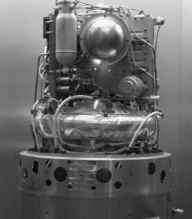 It was one of the many technologies and techniques for which the Apollo programme depended on Gemini to pioneer. Among the limitations of the Apollo fuel cells was that they were very sensitive to the presence of impurities in the reactants. Even with hydrogen and oxygen of the highest purity that NASA could procure, the build-up of contaminants required that they be purged from time to time to avoid the resultant loss of electrical power. Oxygen purges were carried out daily, while hydrogen purges happened every second day. Three switches on the LMP's side of the main display console allowed the gases to be routed to any of the three cells for this function. Electric heaters were included to ensure that the purging gas was warm enough to ensure that the water in the cells did not freeze.